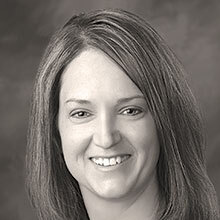 Kyla Carlson, DO, completed her undergraduate degree at the University of Wyoming and earned her medical degree from Kirksville College of Osteopathic Medicine in Missouri. She completed her residency training with Grand Rapids Medical Education Partners, Michigan State University. Dr. Carlson joined Billings OB-GYN Associates in 2011. Dr. Carlson is a native of Wyoming and happy to return to the wide, open spaces of the West. Dr. Carlson married her husband Bruce in October of 2010. They enjoy all things outdoors including camping, fishing, hiking, and skiing and look forward to exploring Montana and making Billings their home.